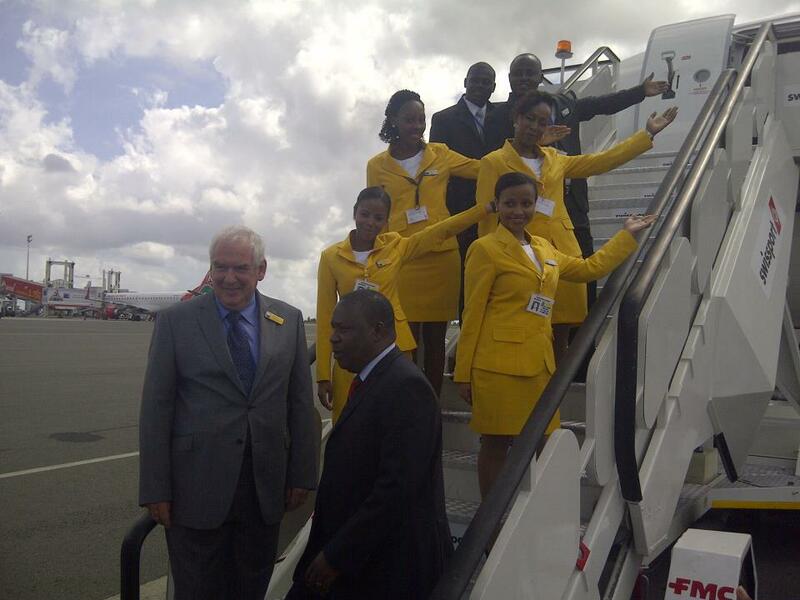 Home Unlabelled Fastjet inaugural flight,a new era of low cost travel begins in East Africa. Fastjet inaugural flight,a new era of low cost travel begins in East Africa. The first aeroplane in Fastjet (LON:FJET) livery took to the skies at an aerospace industry event in Dar es Salaam on Tuesday. The Fastjet Airbus A319 was watched by company executives, government officials and aviation experts as it was put through its paces. The African no-frills airline is to commence flight operations in Tanzania on Thursday of this week. “Today is an incredibly exciting day not just for Fastjet, but for Tanzania and Africa as a whole," claimedFastjet chief executive, Ed Winter. Fastjet will operate flights twice a day on its first two routes: Dar es Salaam to Kilimanjaro and Dar es Salaam to Mwanza. Tickets went on sale two weeks ago and Fastjet said ticket demand has outstripped initial expectations. Fastjet operates under a brand licence agreement with easyGroup Holdings and Sir Stelios Haji‐Ioannou, the founder of easyJet. Fastjet also revealed it has signed an exclusive partnership agreement with Swissport, which will provide ground services throughout the airline's network.